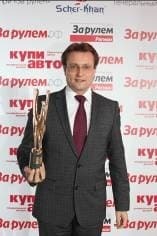 December 8th publishing house "Za Rulem" summed up the results of the annual competition Grand Prix "Za Rulem" that defines best car novelties in 2012 on the Russian market. The winner in the small class, according to a large audience editions "Za rulem" was Hyundai Solaris. From September 1st to December 1st, readers were sending questionnaires to the publishing house with the evaluation of nominees for major criteria which characterizes cars: usability, the value for money and quality, comfort, progressive technologies, the prestige of the model and design. Available at reasonable price and modern Hyundai Solaris was considered to be the best car of the year in its category, pretending to the massive demand due to an attractive price and stylish design. Grand Prix "Za Rulem" passes since 1994 and its main features have always been such factors as mass jury (the audience of the magazine) and the high level of judge’s qualifications. In addition, this competition features an objective and fascinating approach to the determination of the best cars in the class by comparison with its competitors by a large number of criteria, and identification of the best cars among new models, formally represented on the Russian market. Hyundai Solaris was presented in February 2011, and the car in the shortest terms occupied primary niche in segment of small sedans and won the local consumers’ loyalty. Strong demand during the year for the novelty Hyundai Solaris can be explained by one of the most advantageous in the market "price/quality" proportion, as well as the fact that the car has been designed to meet the demands of Russian consumers and was fully adapted to Russia's road and weather conditions. There are many special options that make Solaris particularly attractive to the Russians. Modern design, new engines, excellent ergonomics and a wide range of cabin configuration – it is the small part of Hyundai Solaris advantages. By November 2011 in Russia 80 000 cars of this model were sold, and this figure is increasing every day. 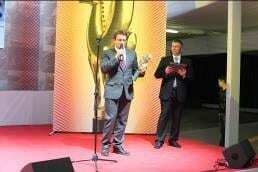 Gran Prix «Za rulem 2012» is the second prize of automotive media at the Russian market. In January, 2011, Solaris got also Golden Klaxon prize.